These Rainbow Monkeybars are an old time favorite! Children love Monkey Bars! They build coordination and strong muscles. The Monkeybars are designed to fit on the Rainbow Series Playsets. Monkeybars are made from 4" x 6" Cedar. 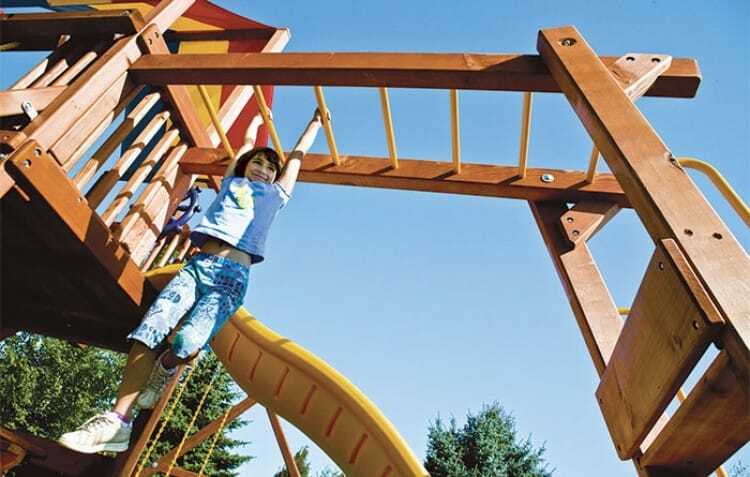 NOTE: Monkeybar sizes vary by playset, contact your Playground King Playset Specialist to assist you in selecting the proper size.